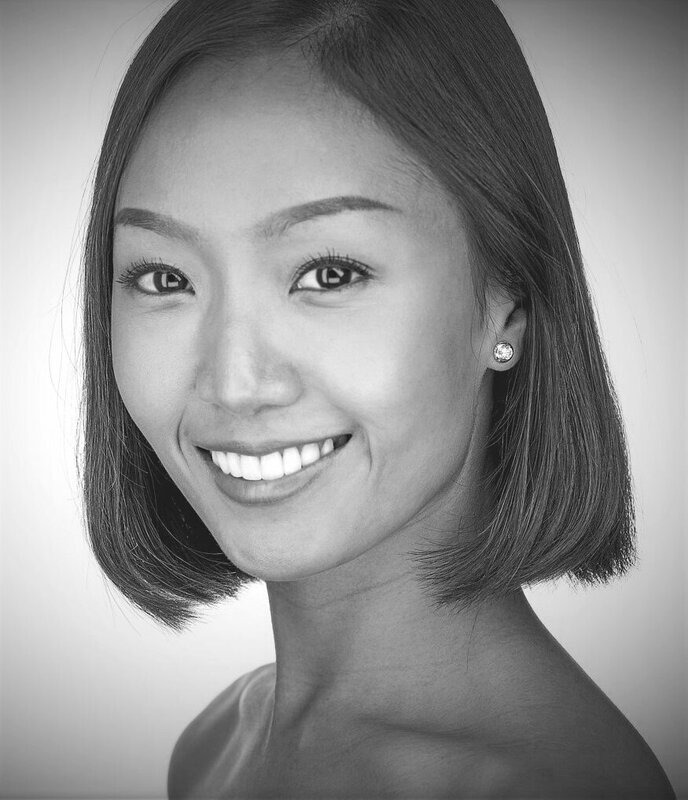 A native of Thailand, Ommi started her ballet training in her homeland and completed the highest examination from Royal Academy of Dance’s Solo Seal Award. At 15, she was offered a three-year full scholarship to study at The Royal Ballet School in London. She then proceeded to become the youngest person to win a gold medal at the Genée International Ballet Competition in 2001, also known as “A Vintage Year”. During her study at The Royal Ballet School, Ommi was selected to perform with The Royal Ballet in many productions including Snowflakes in Sir Peter Wright’s The Nutcracker and Willis in Giselle, Stars in Sir Frederick Ashton’s Cinderella, Shade in Marius Petipa’s La Bayadere, and 2nd Movement in George Balanchine’s Symphony in C. In her graduate year she was chosen to represent The Royal Ballet School and the United Kingdom at international galas performing Sir Kenneth MacMillan’s Concerto 2nd Movement. In 2004, Ommi joined San Francisco Ballet as one of its youngest Soloists at age 18. She performed many Principal roles such as Snow Queen, Sugar Plum Fairy in The Nutcracker, Lilac Fairy and Bluebird in The Sleeping Beauty. Her repertoire also includes lead roles of many works from various choreographers such as Balanchine’s Divertimento No.15, The Four Temperament and Serenade, David Bintley’s The Dance House, Christopher Wheeldon’s Rush, Tomasson’s 7 for Eight and Fifth Season, and many others. Until 2016, Ommi performed as a Principal dancer with Ballet San Jose and her performances include lead roles such as Mercedes and Queen of the Dryads in Don Quixote, Roland Petit’s Carmen, Ben Stevenson’s Cinderella, Karen Gabay’s The Nutcracker, Alicia Alonso’s Giselle, and many others. In the past few years, Ommi has been teaching and coaching ballet extensively to students of all ages and levels. She is a Power Pilates Mat certified instructor and a Balanced Body Reformer certified instructor. She is also an ABT® Certified Teacher who has successfully completed the ABT® Teacher Training Intensive in Pre-Primary Level through Level 7 of the ABT® National Training Curriculum. Most recently Ommi completed the Royal Academy of Dance’s Professional Dancers’ Teaching Diploma program and became an RAD registered teacher. Ommi enjoys sharing her passion, experience and knowledge of dance with others and believes that ballet class should be a fun and positive learning environment where students can thrive and express their individuality.